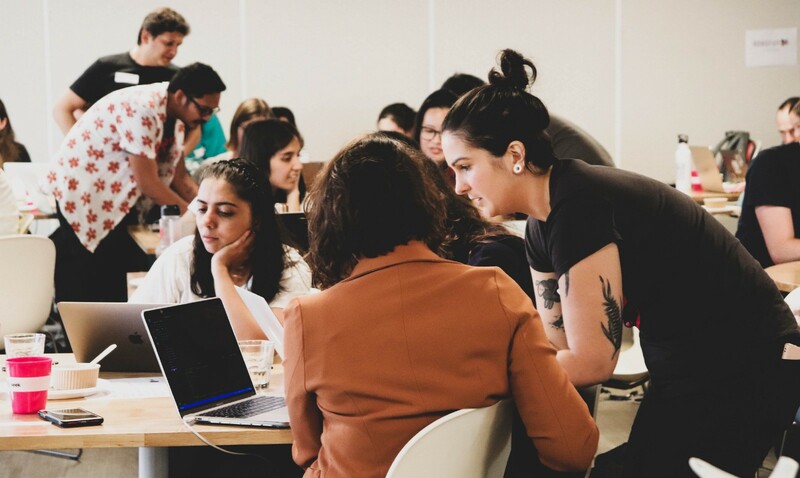 On February 16th, 2019, SEEK hosted a bootcamp with DevOps Girls. 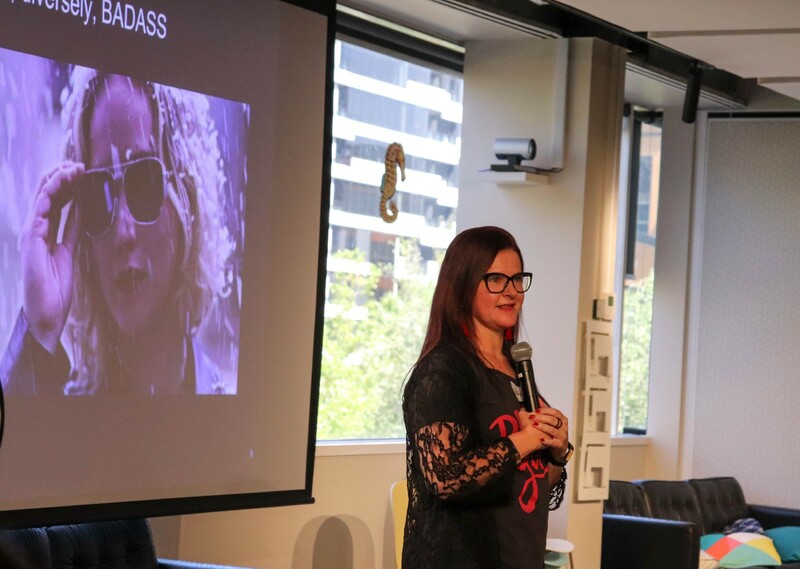 It was a day-long event to teach women some tech and all things serverless. We posted the event on meetup.com, and the 60 allocated spots filled up in a day. At one point there were an additional 34 people on the waitlist. It was exciting to see so many women keen to learn some tech! About 2 weeks prior to the event, Robofun volunteered to run a bootcamp in parallel for the kids of attendees and volunteers. This was such a great idea. 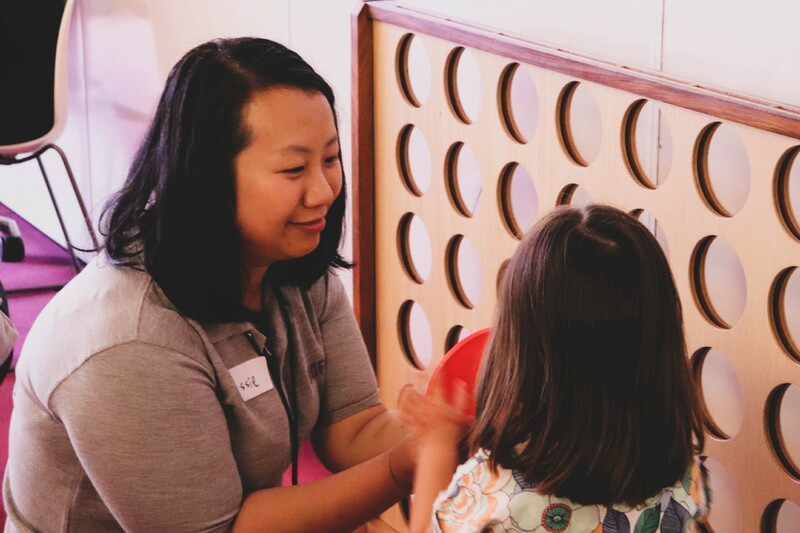 We didn’t want childcare to be a limiting factor for someone looking to upskill themselves in tech. Massive thanks to Robofun. On the day, the organising team swung into action at 7am. Tables needed to be set up, extension leads needed to be gaffer-taped, signs needed to be posted up and most importantly, the coffee machine needed to be prepped and ready to use. Turns out, I had no reason to be nervous. We had a great turn out and the day progressed pretty smoothly. Upon arrival, attendees registered themselves and if they brought kids, they were registered for the Robofun bootcamp. The first 45 minutes of the day was spent helping participants to setup tools including a text editor and an AWS account. To get our brains prepped for learning, we had SEEK volunteers (SEEKers) working the coffee machine. 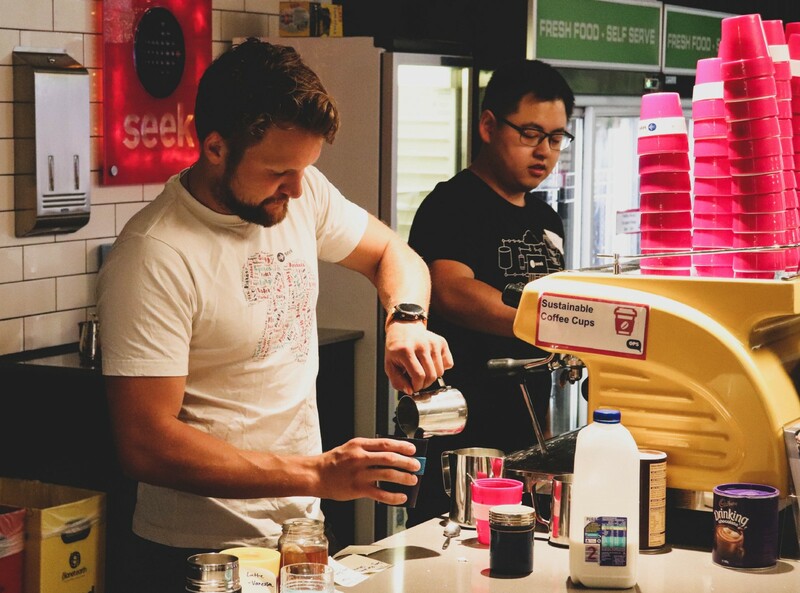 SEEKers make some of the best coffees! To ease everyone into things, we gave an outline of the day and set the ground rules for a safe learning zone. Then we started to delve into the tech learning by starting from the basics, then we slowly built up to more technical content. 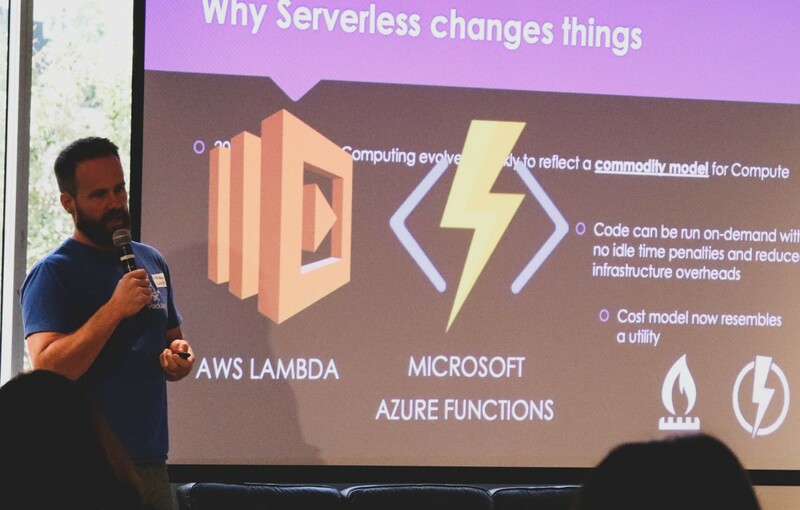 This session also covered the technical relevance of serverless. 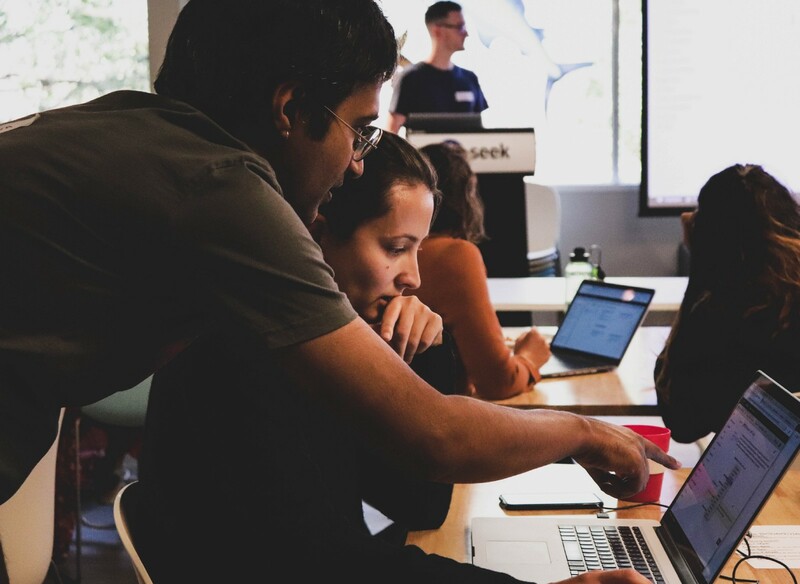 We wanted participants to see use cases where the concepts they learned could be implemented. We also gave an overview of the business use-case for severless to help people to sell it to their company. 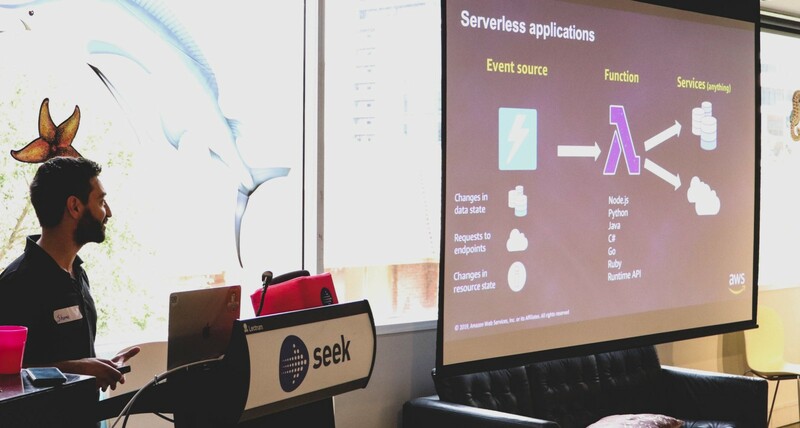 Serverless has a lot of things going on behind the scenes, so we showed the participants some of this ‘magic’. We did this by getting participants to click their way through the AWS console, also known as ‘clickops’. We wanted the participants to ‘feel the pain’ of doing things in a manual and not-easily-repeatable way. It’s fairly common for businesses to introduce tools that have so much built-in functionality, that you end up unclear about what you’ve actually achieved. At midday we pried people away from their laptops for lunch. Time flies when you’re deep in learning. This gave people a chance to get to know the volunteers and other participants. Learning new technical concepts can be really overwhelming, so we made sure the day included a non-technical session. This session was Theresa Neate’s talk, “A chat about imposter syndrome, anxiety and self-confidence”. Her talk encouraged us to re-think self-confidence and how to demonstrate this through being more outspoken. Theresa’s talk showed us that everyone has a story. By understanding this we learn to be less concerned by people’s judgement or criticism and are more willing to put ourselves out there. Before we switched back to the technical content we took a short break to collect our thoughts and digest some of the messages from Theresa’s talk. 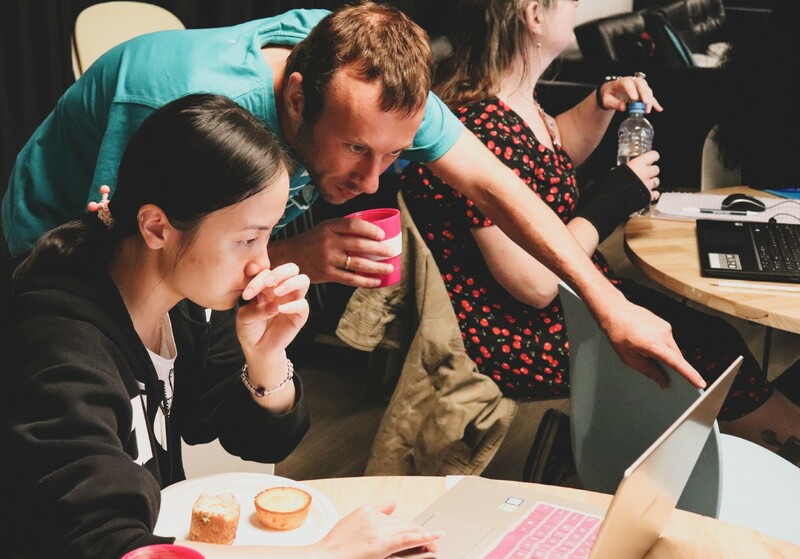 The programmatic parts of the day allowed participants to get hands-on with ‘infrastructure as code’. This was a bit more technical for some and as volunteers we were extremely impressed with how well this went. The amount of variables that could lead to people getting stuck was quite high. We had roaming volunteers to provide a gauge of the participants progress, which was really effective. The roaming volunteers providing feedback also helped us understand whether we needed to provide more clarification on processes/concepts based on commonly asked questions. At about 3.30pm, parents and guardians popped next door to see the Robofun showcase and everyone else had a short break. The kids in the Robofun bootcamp were able to show off their robot creations and wrap up their learning. At this point parents and guardians were given the option to head home as it had already been quite a long day for the kids. So, before parents/guardians departed, we made sure to get a group photo to commemorate such an excellent day. To wrap up the day, Shane Baldacchino from AWS took us all through some new AWS features called ‘Lambda layers’. This was a non-hands-on session to introduce some new concepts to people ready to take new steps with serverless. It was impressive that participants were able to take on even more information after a long day of learning. I’ve been a participant and an organiser for events like this and I can truly say how inspiring and educational they are. I look forward to a lot more bootcamps hosted by SEEK in the future. A bootcamp like this doesn’t happen unless you have people willing to be generous with their time. I’d like to say a massive thank-you to the following people from SEEK and beyond. SEEKer crew: Ryan Ling, Andrew Hatch, Ben Jervis, Jessie Wei, Laurence Tan, Mark Nicholson, Ren Koh, Simon Pilepich, Manuel Weiss, Dao Yang Liew, Amanda Leipa. 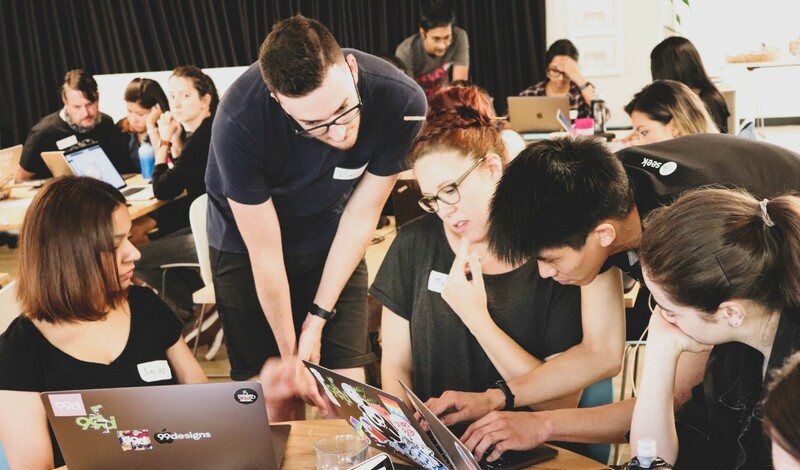 More absolute legends: Andrew Cosgriff, Shane Baldacchino, Mai Nguyen, Shiva Narayanaswamy, Theresa Neate, John Contad, Javier Turegano, Aashish Jolly, Raisa Hashem, Lachlan Munro, Lina Qasem (founder of Robofun), Meaghan, Miffy Wu, Benny Tang. Thank you to AWS and Robofun for their contribution to this event. Platform Engineer at SEEK. Co-organiser for DevOps Girls ( @DevOpsGirls ). Technical zine enthusiast.